Baking soda is an alkaline powder. When combined with acid, baking soda neutralizes some or all of the acid and produces carbon dioxide gas in the process. During our school studies this scientific curiosity was probably demonstrated with a model volcano that bubbled up and erupted when we added vinegar to red food coloring and baking soda. Now, baking in the kitchen as an adult, we can use this knowledge to our advantage. The carbon dioxide gas that is released increases the bubbles that already exist in a batter or dough, which helps baked goods rise. 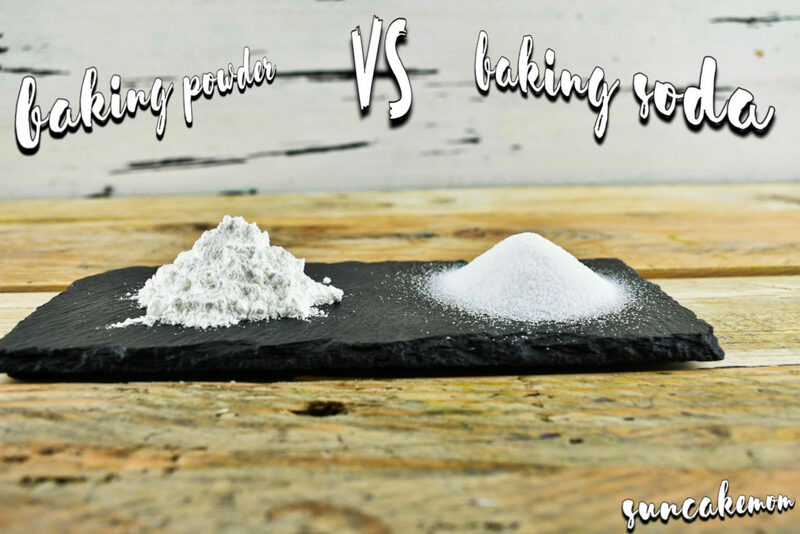 Although baking powder is also a leavening agent, the difference between the two ingredients lies in how they are activated. Baking soda requires an acid such as lemon juice, buttermilk, yogurt, or vinegar to produce the gas that enlarges a batter’s bubbles. More baking soda, however, doesn’t equate to more lift. 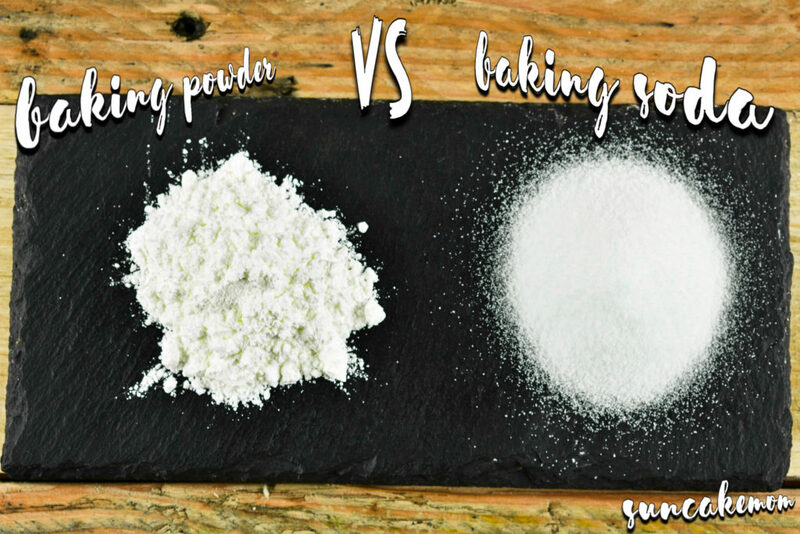 Since too much baking soda and inadequate acid results in a bitter or soapy flavor, you should only use enough for it to react with the amount of acid in your batter. Baking powder, on the other hand, is the complete package. It contains baking soda and enough acid to cause a balanced reaction. To activate it, just add a liquid. Being self-contained isn’t baking powder’s only trick. When you mix wet and dry ingredients, baking powder activates instantly, enlarging bubbles in the batter and making it rise. But, you need to work quickly. If you don’t get that batter into the oven within a few minutes, those bubbles will rise right out of the batter and into the air. Manufacturers have made baking powder functional and schedule-friendly by using acids that don’t dissolve in water until they reach a specific temperature. This is a useful feature for batters and dough that need to be chilled prior to entering the oven. Generally, if you have a recipe that includes an acid, then you use baking soda, which is activated by that acid. If you have a recipe without an acid, then you use baking powder as your leavening agent because the acid is built into it. But, it’s not always that simple. Some recipes that contain an acidic ingredient like fruit or yogurt call for both baking soda and baking powder. In these cases, the carbon dioxide created once the baking soda reacts with the acid isn’t enough to leaven the amount of batter in the recipe, so baking powder steps in to magically add the necessary extra lift. It’s all a matter of balance and having the right ingredient for the right recipe.